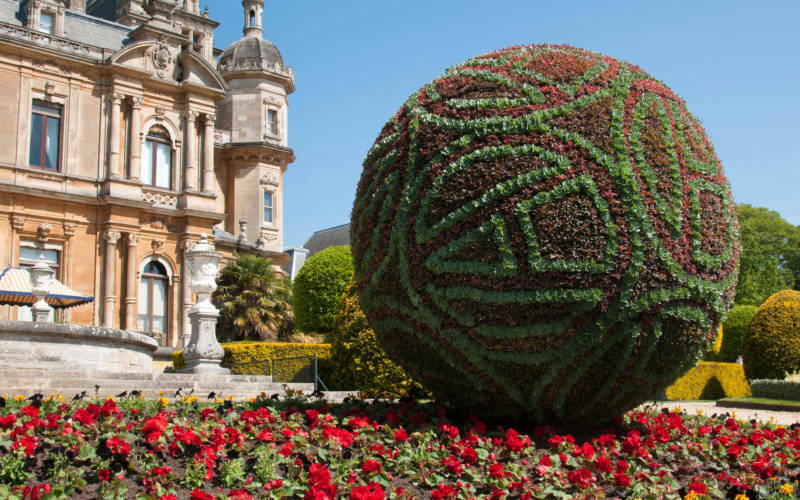 From June 2015 two sculptural bedding installations designed by artist Simon Periton (b. 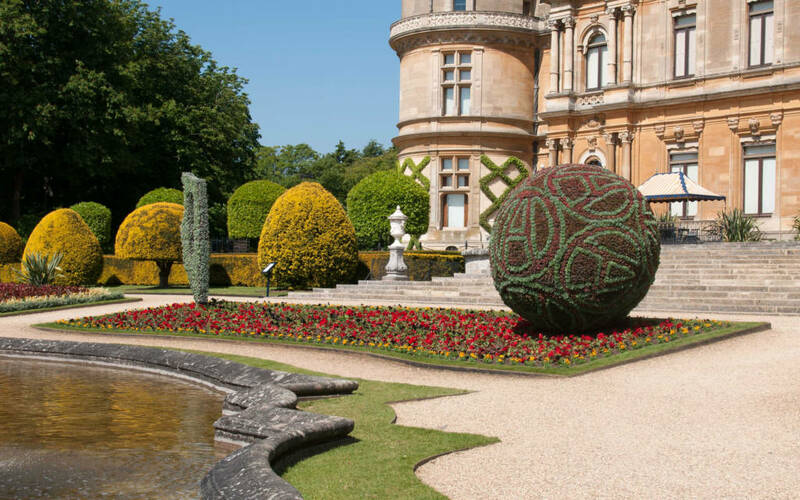 1964) appeared on the Parterre, continuing the tradition of three-dimensional bedding begun by Alice de Rothschild. Periton’s work frequently revolves around the concept of the ‘decorative’ and its underlying subversive potential. Decoration and the decorative surface have variously informed his intricate cut paper sculptures, works in spray-paint on glass, and large-scale architectural commissions in outdoor and indoor contexts. Combining resonances of fin de siècle aestheticism, punk iconography and kitsch, Periton’s sensuous visual language succeeds in being simultaneously playful and pensive. Beneath his compositions’ intricate surfaces, there is often a rich and murky underworld to be explored.